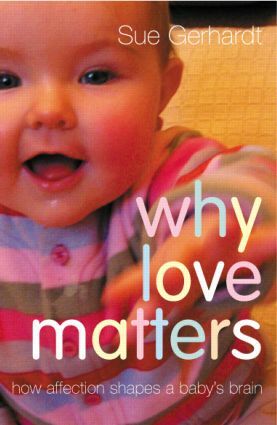 Why Love Matters explains why love is essential to brain development in the early years of life, particularly to the development of our social and emotional brain systems, and presents the startling discoveries that provide the answers to how our emotional lives work. Sue Gerhardt considers how the earliest relationship shapes the baby's nervous system, with lasting consequences, and how our adult life is influenced by infancy despite our inability to remember babyhood. She shows how the development of the brain can affect future emotional well being, and goes on to look at specific early 'pathways' that can affect the way we respond to stress and lead to conditions such as anorexia, addiction, and anti-social behaviour. PART 3 Too much information, not enough solutions Where do we go from here?